Since the beginning of time women have been tired and sick of their body hair. A woman’s job is never done when trying to get rid of these unwanted hairs on their legs and keeping their body smooth and beautiful all the time. For some women, shaving can be too time-consuming whereas some find waxing too painful. If you are searching for an innovative and effective solution to get rid of these undesirable hairs, then you must consider investing in an epilator. Similar to waxing, an epilator helps in getting rid of large patches of hair at a single time, but it is a small, portable and an electrical device. However, there are many different types of epilator in the market and finding the best epilator can be a tricky decision to make. To help make this decision of yours easy, I have compiled a list of our top 10 best epilators along with these pros and cons. Keep on reading to find out. 2 How To Choose Best Epilator For Women? 4.1 What Do I Need To Do Before I Epilate? 4.2 Is Epilating As Painful As People Tell You? 4.3 Do I Need To Clean My Epilator Regularly? A great option to choose from high-end epilators is this, Emojoi AP-18 Emagine Epilator. 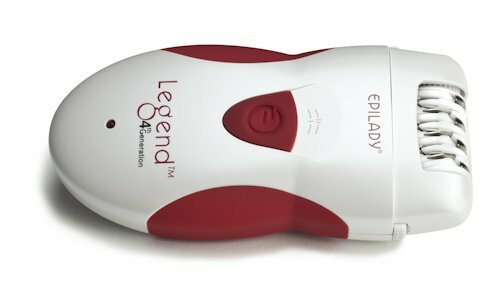 This epilator is equipped with unique features that can help make your epilating process very easy, efficient and comfortable. This epilator can be used on your sensitive areas such as your bikini line as well as you’re underarms and legs. This kind of epilator comes with 72 tweezers which are the most number of tweezers you can find on an epilator today. This helps in decreasing the time you use for epilating and also give your smooth skin for over six weeks. 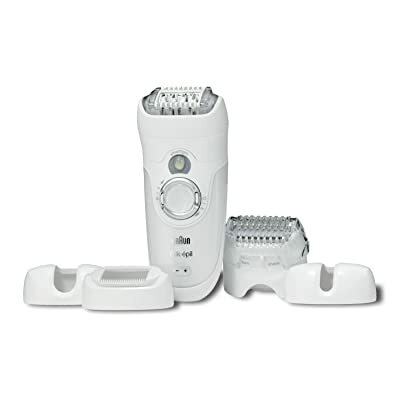 The heads of this epilator help in keeping your skin taut which in turn helps in eliminating the number of ingrown hair and also minimize pain. 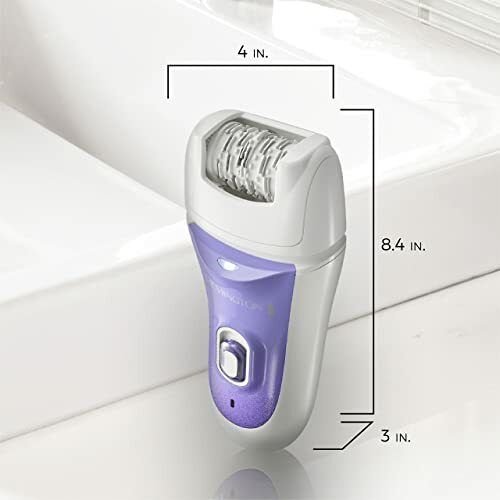 This epilator also helps in decreasing irritation. It comes with two-speed settings which can be easily adjusted for what kind of hair you have whether they are fine or coarse. This epilator also has a cord. Can be used on different areas of the body. Cannot be used on your face. Does not come with a built-in light. If you are looking for a well affordable epilator, then you must consider Philips HP6401 Satinelle model. With its low price tag, this epilator provides a great performance. This epilator is specifically designed to get rid of leg hair however it can be used on your arms and bikini area. This epilator is not recommended to be used on your face. Philips Satinelle has an ergonomic design and provides you with a very comfortable grip. It comes with around 21 tweezers and two speeds setting you can choose from. When epilating sensitive area, you can use a more gentler speed whereas increase the speed when epilating coarse hair. Has plenty of tweezers to pluck out your hair. The removable head that can be washed easily. Cannot be used on the face. When compared with powerful models, this epilator might take longer to epilate coarse hair. 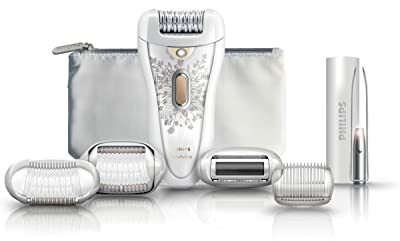 This is another great epilator that offers high-end features to its users. This model is specifically designed to be used on the entire body including your arms, legs, face and the bikini area. This epilator is wet and dry and helps in pulling hair as short as 0.5mm from its roots. Silk Epil helps in keeping your skin smooth for up to 4 weeks. This device comes with 5 different attachments for different body area; these attachments include a trimmer cap, facial cap, sensitive area cap, shaver head and an efficiency cap. 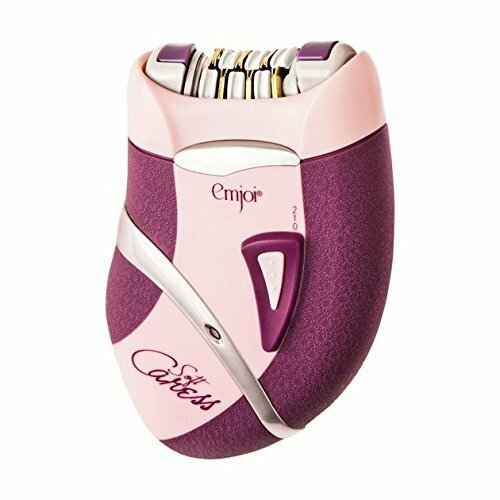 This epilator has a very functional design making it very easy to use and contains 40 tweezers making your epilating process quick. It also has a massage system to help stimulate the pain you feel during the process. Silk Epil also has dual speed setting and the smart light feature that will light up the area you are illuminating. Quick epilating process and flexible head. Can remove the smallest hair. Can be used on the entire body. Can be loud when using. Cannot be used when it is being charged. 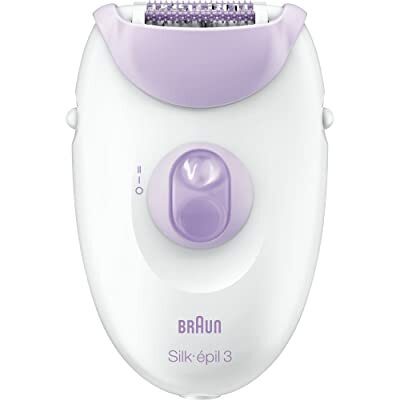 This epilator is similar to the previous mentioned Braun Silk Epil model and comes with dual speed setting allowing you to change the speed when epilating fine hair and coarse hair. This epilator has 20 tweezers and can remove your hair easily leaving you with smooth and soft skin. It does not run on batteries but comes with a cord. This epilator also has a massage system that helps in soothing the skin during the epilating process providing you with minimum irritation and maximum comfort. This epilator is specifically designed to help remove flat-lying hair with its SoftLift tips. It also has a smart light feature helping you in removing any kind of hair you come across. Removes hair from the roots. High-frequency massage feature to decrease irritation. 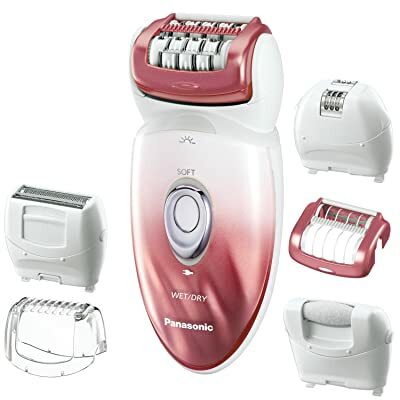 This Panasonic ES-ED90-P epilator features a cordless body with different attachments that help you in a less painful epilating experience. This epilator comes with 6 attachments including an epilation head, bikini cap, foot care heat, epilation gentle cap, shaver head and an epilation beginner cap. The size of this device makes it easy for you to travel with it and it even comes with a traveling pouch. This epilator offers both wet and dry operation and a LED light to improve your accuracy and make sure that not a single hair is left behind. This epilator is ideal for sensitive skin as it comes with blades that are hypo-allergenic. Does not have dual speed. The Remington EP7030 epilator has a head that aims to provide you with the silky and smooth skin after using it. It is extremely flexible due to its pivoting head and helps in removing hair from curved areas that can be very difficult to reach. This epilator also comes with a massaging cap that comes to Aloe Vera to soothe out your skin once you are done epilating. The head of this epilator can also be removed easily so that you can clean it frequently. This epilator, however, can be painful to use on sensitive areas for some uses. Can easily cover large areas. Comes with different attachments which allows it to be used on different body areas. Can miss out fine hair. Can be rough on some areas of the body and leave micro abrasions. 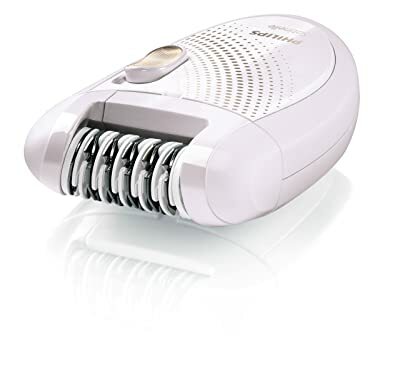 This Philip epilator is another top-rated epilators today. This epilator makes use of ceramic disks instead of the traditional tweezers used by other brands and help in removing your unwanted hair. This Philips epilator comes with a hair lifting system that causes the flat hair to rise up to an extent where the epilator can easily grasp them and pluck them out. This lifting design is extremely beneficial and can help prevent you from going over the same patch again and again; this feature also helps in making your epilating process quicker. This epilator is chargeable and can get fully charged within an hour and can work for around 40 minutes without being plugged back in. Can help in removing leg hair. Comes with several different attachments. Can work in different areas of the body. Is not great for facial hair. This epilator is efficient at removing hair due to the number of tweezers it has which is 40. Each tweezer is able to remove an approximate of 13 hairs in a second. This epilator comes with dual speed settings that you can set according to the type of hair you are epilating. This epilator also has a dual-voltage power adapter and can be plugged in a 110-240 volt socket. Epilady has an ergonomic design with rubber handles on its side making it very easy to grip. Epilator has around 40 tweezers. Can work on some areas better than other. This epilator is similar to its brothers and has an extra wide head that can be easily turned around and is flexible. 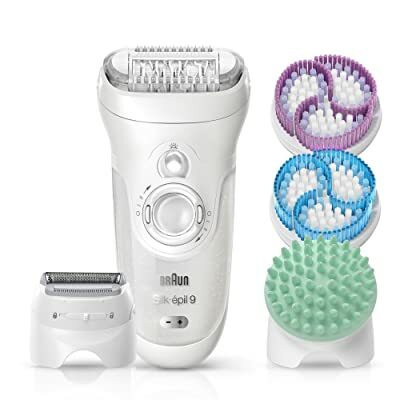 This epilator, however, comes with 3 detachable heads including a deep massaging pad and two exfoliating brushes for different areas. 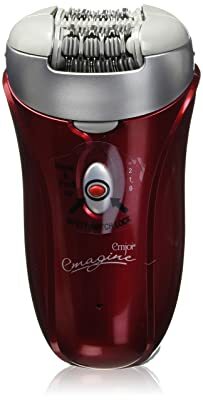 You also get a shaver with this epilator that can help in trimming your body hair before epilating. Can be painful on sensitive areas. This epilator has an adorable design and is incredibly effective in getting the job done. It helps in pulling out fine and coarse hair very easily from all over your body. It is very flexible and can reach difficult areas easily and is also cordless making it very ideal to use. The tweezers on this epilator are hypoallergenic and anti-microbial making it ideal for sensitive skin users. Small size makes it portable. Require several passes on a single patch. How To Choose Best Epilator For Women? Just because you are aware of what an epilator is and how it works, does not mean that you are ready to pick one out and bring it home. If you are not aware of what to look for in an epilator, then you might buy garbage instead of gold. To help you in this quest for a hairless body, here are some tips to think of before buying this machine for yourself. Epilators present in the industry today come with metal plates that can easily rotate and tweeze your hair out from its roots. The more tweezers your epilator comes with, the more hair it will pull out and the more quickly your epilating will be; but it also can be very painful. Pricey epilators come with around 30 to 40 tweezers whereas the less pricey ones typically have around 20 tweezers. These are many epilators that can work in the shower and bathtub as well as work when your skin is dry. The advantage of removing body hair when your skin is wet is that the pores of your skin are open which makes hair removing less painful. Some epilators must be plugged to use them. However, the bathroom is the most dangerous place for using electrical appliances; in many areas sockets are not allowed in the bath or shower area unless they are fitted at least 3 meters away. According to the first rule of electrical safety, electrical powered appliances, such as an epilator, should not be bought inside the premises of your washroom as you can get severely injured and even killed. So it is advised that you opt for a corded epilator if you want to shave in the washroom or you must go for the safest option and buy a cordless epilator. Epilators often come with appliances that you can place over their head for customized usage. Some epilators come with caps for delicate and sensitive areas of the body such as the face and bikini line. Some caps are made with the intention to provide you with a gentler application such as a cap with aloe vera. Many epilators have different speed settings such as one has faster settings whereas some epilators have gentler and slower settings. Most epilators come with a wider head that will let you cover maximum skin with each usage. This can help make your shaving process faster, however; it will increase your pain over a more larger area. Finding small spots of hair after you are done shaving can be very disappointing. However, if your epilator shines a light over your skin then spotting this small hair can be made easy. Epilating can be a very easy way to get rid of your unwanted hair, however; most people need to know more about these devices in order to invest in it. These epilators without a doubt have plenty of advantages when compared with waxing and shaving. If you want to know whether you should invest in these devices, then keep on reading about the benefits these epilators have. With epilating, you get a smooth skin that can last for about 4 weeks. This is because an epilator removes your hair from the roots which means that your hair will take a longer time in growing and appearing on your skin. As compared to surface removing methods such as shaving and creaming, epilators remove the hair from below the skin making your skin remain smooth for long. Also when your hairs do come back, they are softer and finer than before. The best part about these epilators is that they are multi-functional. You can use these epilators on your legs and in other areas as well. Some epilators come with different attachments as mentioned above and each attachment is specifically designed for a particular area giving you the best result. Epilating while showering is the ideal hair removal solution adapted by women today. These devices are ideally suited for women with sensitive skin. Most women can be sensitive to waxing and the ingredients present in them, however; with epilating, you no longer have to worry about such things. Also, some girls can be sensitive to shaving and get bumps right after they are done, but epilation is different. With this device, your skin is not pulled directly while removing your hair, so the effect on your skin is very minimal. This technique can be great for dry and cold seasons when your removing hair may irritate your skin. Epilators help in removing hair from their roots which mean that your hair will grow softer and have narrow tips which will also make them soft. Also as the hair will grow back it’ll start from the roots, and since every hair has a different growth cycle, they will grow at different speeds, so after your first epilation, there will be less hair left to remove. The wet using system of epilators makes these devices very gentle to use. These epilators also have massaging rollers that help in massaging your skin before and after you’re done with removing your hair and pre-epilation wipes helps in decreasing pain. Even though both epilation and waxing help in removing hair from their roots, however; waxing presses the hair flat onto your skin making it difficult to remove it. But epilators have a feature that helps in lifting, loosening and removing all kind of hair. What Do I Need To Do Before I Epilate? When epilating, you do need to do some preparations in order to get the best result. You will have to start by exfoliating your skin where you want to epilate. Exfoliation helps in removing dirt, oils and other dead skin cells that can get stuck on your skin. Once done exfoliating, it is advised that you hop in for a shower or a bath and let warm water run over the area you are just exfoliating and then start using an epilator. Is Epilating As Painful As People Tell You? Epilating is infamous for being painful, after all, waxing is no easy procedure to go through, and they are both very alike experience. The entire process of epilating depends on how strong your pain tolerance is and can range from being excruciation for some to being mildly irritating. However, the majority of the pain you feel is mostly only the first time you use this device. Once you have epilated two or three times, the pain starts to decrease. But if the pain is something that worries you, then you can apply an ointment that has lidocaine in it before you epilate. You can also opt for taking a pain reliever an hour before you epilate. To lessen the pain you can choose the slowest epilating setting on your epilator and make sure that you don’t start on a very sensitive area. Also, keep in mind that you must pull your skin and keep in taut so that the epilator can remove hair easily. Do I Need To Clean My Epilator Regularly? Just like every other hygienic product, it is necessary that you keep your epilator neat and clean without any hair or bacteria on it. Many epilators have a small brush that you can use to remove the hair that can get stuck in the epilators tweezers. Some epilators even have a head that can be easily detached to help make your cleaning easier. However, when cleaning your epilator make sure that you unplug it from the power source and avoid getting it wet if it is not waterproof. Always read the cleaning instructions that come with your epilator to ensure safety. If you have reached the end of the article, then it must be clear to you that some epilators have better features than others whereas some might have the features that are ideal for you. These epilators were our top picks and are great for removing hair. Whatever epilator you pick must-have features that you require in an epilator and be suited to your skin.